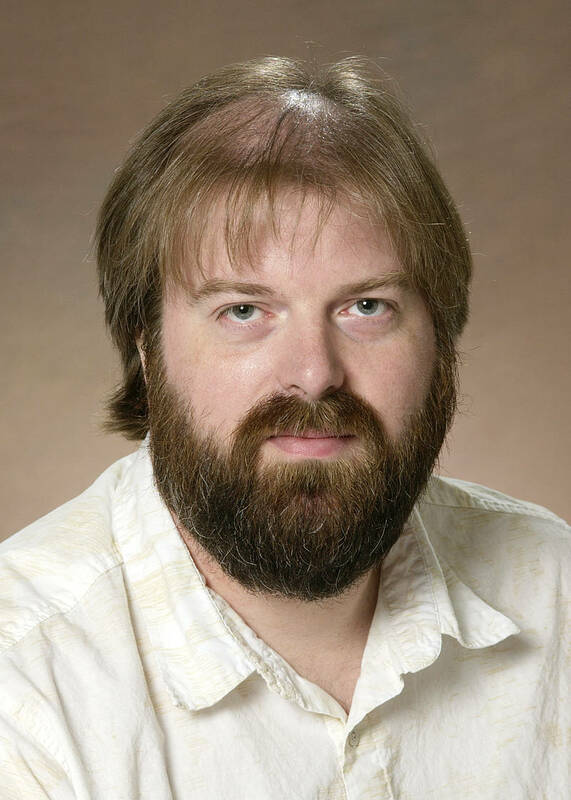 Seth Rasmussen, professor of chemistry and biochemistry, has been named a Fulbright Senior Scholar by the Australian-American Fulbright Commission. He will conduct research in Australia in early 2018. Rasmussen’s application was titled “New Design Models for Low Band Gap Polymers and their Application to Organic Electronics.” The award will fund his January-to-May stay at the University of Newcastle in New South Wales, where he will conduct materials research. According to Rasmussen, the project is a continuation of a long-standing collaboration with Professor Paul Dastoor and the Center for Organic Electronics at the University of Newcastle. The project uses semiconducting organic plastics developed by Rasmussen’s research group and studies their application as active materials in organic or plastic solar cells and near-infra-red light detectors. The project combines chemistry, physics and engineering to the development of new technological devices that may significantly benefit society. Plastic solar cells have the capability to be used in flexible applications, including incorporation into cloth and fabrics. So, everyday objects like messenger bags and clothing could convert sunlight into energy to power electronics such as cell phones or computers. In addition, near-infra-red light detectors are vital in telecommunications, because they convert data transmitted via light back into an electronic signal. The Fulbright program was established in 1946 through legislation introduced by Sen. J. William Fulbright of Arkansas. The program is sponsored by the U.S. Department of State’s Bureau of Educational and Cultural Affairs. The program awards about 8,000 grants each year, including about 1,600 U.S. students; 4,000 foreign students; 1,200 U.S. scholars; 900 visiting scholars; and several hundred teachers and professionals. Since its inception, about 370,000 people have participated in the program.